Home Entertainment Does Black Panther deserve universal praise? The superhero genre, in film and any other medium, has historically been about empowerment: the idea that anyone can better him or herself to become great, to become a hero among those around us. As the Marvel Cinematic Universe and its DC counterpart have proven, these are stories that people want to see, that really have a message that people can relate to. As films like Patty Jenkins’ “Wonder Woman” have proven, it pays to tell a story that represents the viewpoint of a niche audience. This is, historically, a great way to pique the interest of a demographic that may be unfamiliar with the specific genre as a whole, and as is the case with “Wonder Woman.” It is an excellent way of gaining the support of the affected group. The problem with films like “Wonder Woman,” and now “Black Panther,” however, is the symbolism that their audience places on these films. 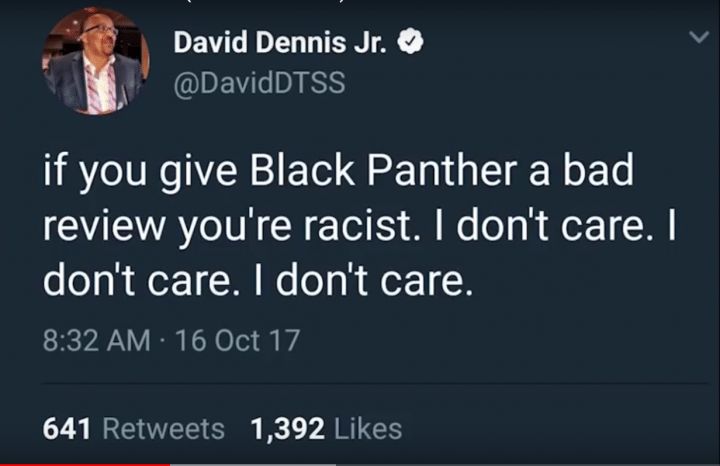 The above tweet, which has since been taken down, from civil rights activist and Morehouse College journalism professor, David Dennis Jr. perfectly demonstrates the problem with the current climate surrounding “Black Panther.” While one could argue that the Marvel film, which is falsely claimed by a number of sources to be the first black superhero film, is a revolutionary or a defining moment for black culture in cinema. This does not, and should not put the film above basic criticism. As previously mentioned, even reputable news sources such as the New York Times have inaccurately described “Black Panther” as being the “first black superhero movie” and a “defining moment for Black America.” The problem with the former claim, made by the Times’ Carvell Wallace is that, within recent memory, “Black Panther” may be the first black hero to receive his own film under the MCU moniker, though a number of other black heroes have had their own adaptations that preceded the current phenomena. 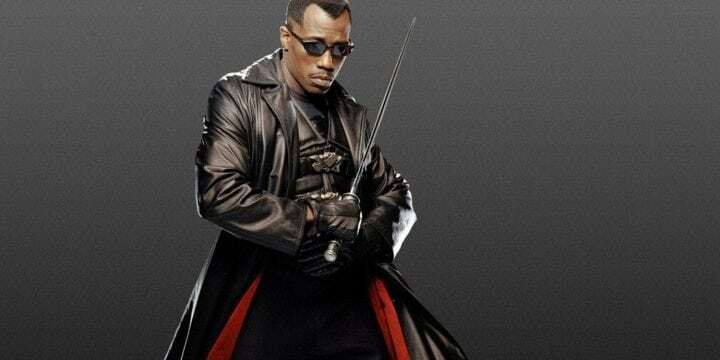 The most notable example of this, Stephen Norrington’s “Blade,” and its sequels, “Blade II” and “Blade: Trinity,” each of which starring Wesley Snipes as the titular vampire hunter, were each massive successes, the first of which being released in 1998, and the franchise as a whole being cited as an influence for the modern influx of the superhero genre. The biggest problem with Dennis’s tweet, and the thoughts of like-minded individuals, however, is that, putting aside the fact that Dennis hadn’t seen Black Panther prior to submitting his above tweet; the idea that any work of art is above criticism or critical examination is a deeply flawed and illogical concept. The fact of the matter is, despite the audience that “Black Panther” was made for and what its goal is, it is impossible to make a sort of judgment about the film without having any context. “Black Panther” may indeed be another excellent entry into the cinematic universe that Marvel has developed, but we need to see the film for ourselves, and make our own judgments. No art is above criticism; nothing deserves to be held as sacred.